Professional Organizer, Newtown, CT - The Organized Hive - Helping you simplify your spaces and make room for what matters most. or worse... pile up and cause us to feel stressed and overwhelmed. The Organized Hive can help! As a professional organizer, and member of the National Association of Productivity and Organizing Professionals (NAPO), I'll work with you in an understanding and non-judgmental way to help declutter your spaces, restore order, and set up practical organizing systems specific to your needs and goals. View the services offered. Arrange a free consultation. Are your kitchen counters piled with papers instead of plates? Do things sit around because there is nowhere convenient to put them away? Is your office a jumble of papers, files, and piles? Is the playroom (or ANY room) out of control? Are you moving or downsizing and find yourself overwhelmed, surrounded by years' of accumulated belongings? Is your guest room ready to welcome actual guests? ​I can help you get organized, reduce stress, and make room and time for what matters most! 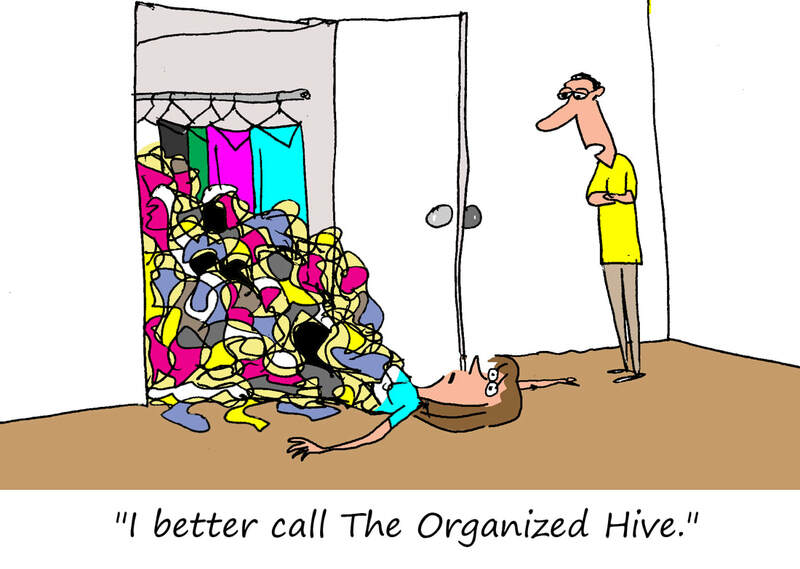 Contact Sue at The Organized Hive today. Ready to learn some practical organizing tips and strategies? Attend one of my upcoming presentations:! Spring Decluttering: Pro Tips to Restore Order & Save Your Sanity!